The image is used to identify Edward Teach - Blackbeard (character) from the television series Black Sails, a subject of public interest. 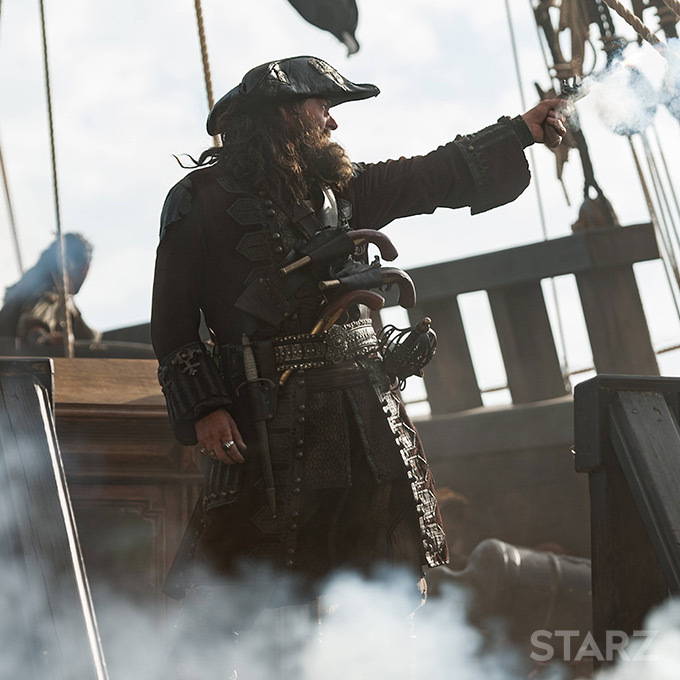 Blackbeard was portrayed in a very impressive way in a US Television series Black Sails. Here you can read how he was brought to life by the actor Ray Stevenson. Calico Jack is one of the most interesting characters in the popular TV series Black Sails that follows the life of several historical pirate captains in search of freedom and wealth. Marshall D. Teach better known as Blackbeard is the captain of the Blackbeard Pirates. Blackbeard Pirates are group of characters in a fictional universe of the One Piece manga and anime series. The most popular film adaption of Blackbeard is without the doubt the one that was shown in the fourth installment of the Pirates of the Caribbean franchise “On Stranger Tides”.